What is Chronic Apical Periodontitis? Chronic apical periodontitis is generally a non-painful condition in which the apical portion (i.e. 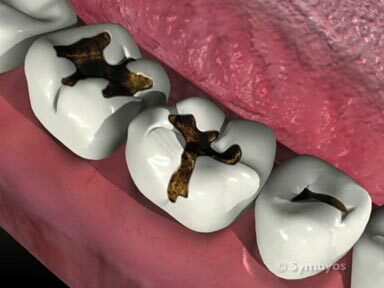 the part around the tip) of a tooth’s root is chronically inflamed. The term chronic means the condition has been present for a significant length of time (at least several weeks, and sometimes much longer). There may be drainage through the gums from around the tooth’s root. Drainage into a major nerve canal can lead to numbness, which is generally temporary and resolves following successful treatment of the condition. In fact, the problem frequently originates along the root somewhere (periradicular). Thus, the diagnosis is also beginning to be reported using these other descriptive terms. How does the dentist diagnose Chronic Apical Periodontitis? Drainage, if present adds the term suppurative to the diagnosis: chronic suppurative apical periodontitis. Drainage from infections can produce a bad taste and bad breath (halitosis). X-ray image of the tooth shows a dark area in the bone around the root, where infectious and inflammatory fluid has dissolved away the bone. There is frequently a history of either a deep filling or trauma to the tooth. How is Chronic Apical Periodontitis treated? 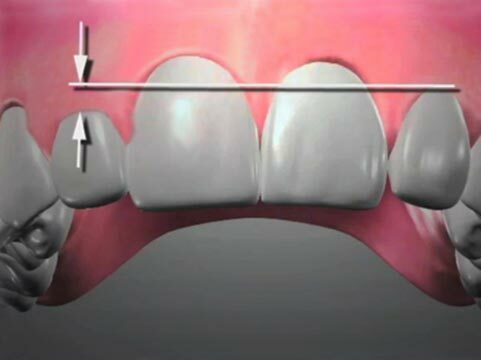 Adjusting the bite on the tooth (occlusal adjustment, single tooth) will not fully resolve the problem. Saving the tooth requires definitive treatment. Surgical amputation (apicoectomy) of the tooth’s root tip may be recommended, with or without conventional root canal (endodontic treatment). 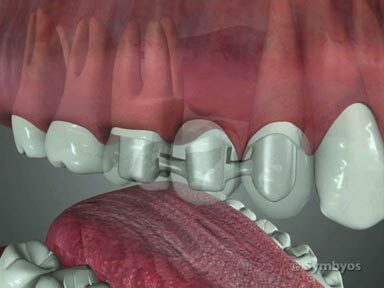 Tooth removal (simple tooth extractions and surgical tooth extractions) may be an option. If the tooth is removed, the most common treatment options to replace it are a dental implant, restored with a crown; a fixed bridge; and a removable partial denture. The choice generally depends on how many other teeth are missing; the age and general health of the patient; the condition of the remaining teeth; the patient’s overall oral health.